Well, this project started since we needed a demo unit for the store. 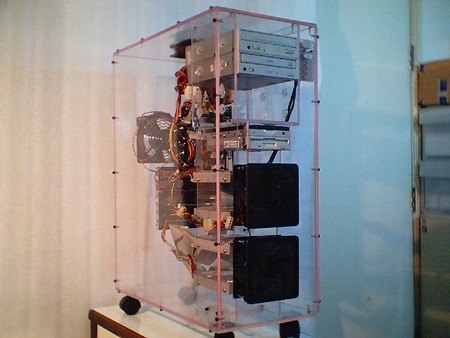 Plexiglas was an easy choice since what we wanted was an easy look at the innards. Here are the system specifications. Hard Drive 4 x Maxtor DiamondMax Plus 6800 13Gb.